A few years ago, I began to reflect on my journey through healing and each aspect of the self: mind, body, and spirit. I became very interested in holistic wellness once I became a mother, and I have changed much about my lifestyle to become healthier through the years. I was a long-time smoker and drank more than the “daily recommended” amount, but through dedication and help, the holistic journey I embarked on eventually led me through self-healing to become more physically, emotionally, and mentally healthy. In other words, I became more whole. The term holistic itself actually means “wholeness,” or “operating as a whole system,” and for me, the idea that the mind, body, and spirit operate as one system—that mind and body are one—is very natural. For others, this may not be the case, but with growing scientific evidence that our physical health is directly influenced by thoughts and feelings (and vice versa) this concept may become more commonly understood and embraced. The face of healing and wellness itself is changing in our world. For many decades the Western medicine model of prescription pills and invasive surgeries has ruled the United States, but with rising costs of health care, health insurance, and the pervasive rule of the pharmaceutical industry, many are ready for this system to change. A growing body of research supports the benefits of energy medicine and complementary and integrative healing modalities (commonly referred to as “alternative” medicine, i.e., massage, acupuncture, etc. ), and many individuals are seeking a new approach to healing. One approach is a holistic model, which may be new to some, yet many holistic healing methods have been used for thousands of years. Around 2002, I began practicing yoga and receiving massage because it helped me feel good. At the time I didn’t know I was planting seeds of living a holistic lifestyle, but I was less stressed and felt good about taking care of my body in this way. I started trying new things such as acupressure, acupuncture, and craniosacral therapy for anxiety and help to quit smoking. I underwent counseling and received Reiki to help get to root causes of emotional scars and depression. I studied psychology and became more familiar with how the brain operates and became keenly aware of how the outer environment, biology, and choice of thoughts affect the brain. I learned about herbs, flower essences, essential oils, and began to understand how our food is medicine if we want it to be. I found spiritual fulfillment through meditation and connected to my self on a deeper level through yoga and contemplation. I began thinking about heath care in the United States; many of us have become disenchanted with the system, and I started to daydream of a center that was a one-stop shop for holistic wellness—a place that had all the things I’ve used (even types of treatments I had yet to try) and medical professionals. I envisioned that the center would be concentrated with services; it would be a coherent guide to help lead people to treatments, professionals, and classes that were right for them, because we all require different things at different times. Then I thought, “Why does it have to be just one center? What if it were bigger than that and there were many different locations? As practitioners, we want to help all people be well; why don’t we all work together?” As I started asking these questions I found that many people had the same idea in mind. This was how the Wellness Collective was born. I began creating a database of holistic modalities, locations, and practitioners by organizing a group and building a website that lists everyone in the Collective. 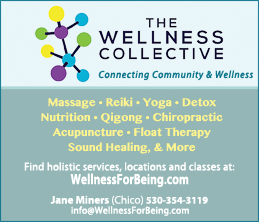 During the past year, the Wellness Collective has grown into a group of practitioners working together to help individuals find services and practitioners that best suit their needs. This database will continue to expand as more people are drawn to holistic health because many are realizing that not one way of living, one diet, lifestyle, or exercise is right for every person. We are individuals with varying natures. Yes, we have commonalities in our humanness, but we are all a little different in how we respond to foods, various exercises, and people. We have individual preferences and are drawn to certain groups, places, and lifestyles; one size does not fit all. With the collective model, mind, body, and spirit can be addressed as one working system, and a merging of Eastern and Western medicine can occur; we can begin looking outside the pill bottle and inside ourselves. 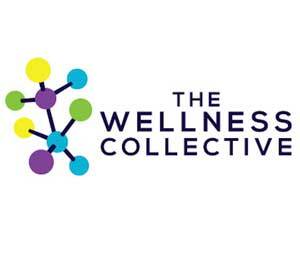 The Wellness Collective is a growing group of practitioners working in support of one another to bring the right people and services together; we are serving the whole, one individual at a time. For more information and list of services and locations, or if you are a practitioner and would like to join the Wellness Collective, go to WellnessForBeing.com or email info@wellnessforbeing.com.